If Congress Won’t Help, What Else Can the Fed Do to Boost the Economy? With Congressional Republicans blocking any further fiscal stimulus, it falls on the Federal Reserve to do what it can to reduce unemployment. Those opposed to the Fed doing so express concern that it would spark inflation. We should be so lucky. A moderate increase in inflation, contrary to the overblown fears of inflation-hawks, would be a boon to the economy. And while it’s not a guarantee that our central bank actually has the ability to spark inflation right now, it’s clear that they should be employing all the weapons in their arsenal to try. A small increase in inflation would be a good thing. When the Fed causes inflation all prices rise, including the price of labor (wages) and real estate. This is unlike inflation caused by oil or food price increases. With monetary inflation, debtors are big winners since their incomes and home values go up in dollar terms while their obligations remain constant. Inflation would improve household balance sheets and facilitate a revival of consumption and the housing market, thus reducing unemployment. So why be concerned with inflation at all? The experience of the 70s and 80s taught us that it can be very costly to wring high inflation out of the economy. But, high inflation is not something that happens overnight. Low unemployment rates, starting in mid-1965 when inflation was around 2 percent, took over three years to push inflation above 4.5 percent. It was only after many quarters of inflation above 5 percent that external shocks to prices, and overly expansionary monetary policy, caused double digit inflation. This is not something we need to worry about now. But could the Fed cause inflation now if it wanted to? Some argue that all it takes for a central bank to cause inflation is to announce a target for inflation. If people believe the bank will be successful in hitting the target, the logic goes, they will set their prices and wages with that expectation in mind. Then expectations become a self-fulfilling prophecy. In reality, it’s a lot harder than that. Colleagues at the Brookings Institution and I published a study in 2001 showing that when inflation is low, most decision makers do not act on the basis of anticipated future inflation. Only when inflation gets above 4 percent do enough people act on their inflation projections so that those projections become self-fulfilling. Instead, inflation is typically caused by shortages of goods and workers when the economy is producing near its capacity. If all the productive resources of the economy are fully employed, there is no way to meet increased demand, which in turn causes firms to raise their prices and workers to expect raises. Normally, the Fed can push demand to high levels by cutting short-term interest rates—which lowers the cost of goods people buy with credit—but it can’t do that now when short-term rates are already at nearly 0 percent. Today, by contrast, our problem is too many workers, not too few, which means the Federal Reserve must get creative if it hopes to boost the economy. One suggestion is that the Fed should “twist and shout.” Federal government short-term interest rates are near zero, but longer-term rates are not and they are what matter most for housing, car, and business loan rates. The Fed could therefore announce that they intend to target a particular long-term rate (a shout) and then buy up government bonds to drive the rates down (twisting the yield curve—the relationship between the term of a bond and what it yields in interest). But this isn’t a sure thing. Long-term rates are hard for the Fed to change and some fear that a target low enough to reduce unemployment significantly would be impossible to maintain. An alternative to targeting long-term interest rates would be to specify the amount of long-term bonds the Fed would purchase and hope that the amount would bring long-term rates down enough to revive the economy. This is called quantitative easing, and this would be the third round of it undertaken by the Fed since the start of the recession (thus the policy has been dubbed QE3). Given the small effect of the previous round of quantitative easing, this one would have to be considerably larger to have a significant impact. Lowering long-term interest rates will not increase spending and put people to work if banks are not willing to make loans, however. In normal times, the Fed can control the volume of loans by controlling the supply of bank reserves and regulating the ratio of bank deposits to reserves. This works because banks usually keep little more than the bare minimum necessary to meet those requirements, but for the last three years the ratio of actual reserves to required reserves has grown enormously—from a little more than one to one to twenty-one to one. In other words, banks are not lending at anywhere near the rate that regulations would allow. One way to address this would be for the Federal Reserve to eliminate its practice of paying interest on the reserves banks hold. To be sure, the rate is very low (recently .25 percent), so eliminating it would probably have little impact on banks’ willingness to lend, but the Fed could go further and charge banks a carrying cost for reserves. If this encouraged banks to try to get rid of their excess reserves by writing new loans, it might finally create the economic stimulus we need to put people back to work. Of course, it’s possible that none of these policies would work. There is good reason to be very skeptical of the impact of announcing inflation targets, and it seems unlikely that QE3 would produce a robust recovery unless it was considerably larger than purchases in QE2. Setting a target for something like the ten year government bond rate is more risky, but it is also easier to see how it could affect the economy—particularly if combined with a carrying cost on reserves to get banks lending. 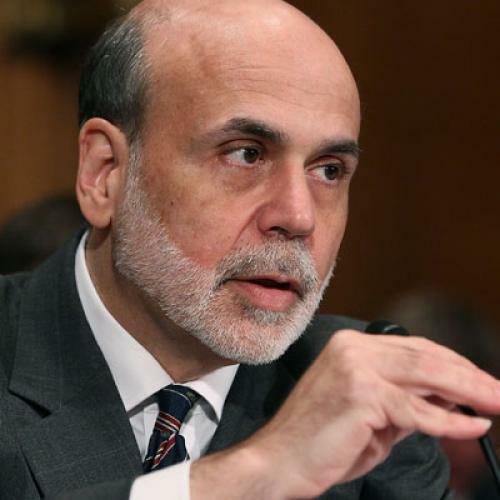 As a wise economist once advised, “[F]ar from being powerless, the Bank of Japan could achieve a great deal if it were willing to abandon its excessive caution and its defensive response to criticism.” That was Ben Bernanke in 1999. Fed policy makers today would be well advised to recall that advice. William T. Dickens is a University Professor at Northeastern and a Non-Resident Senior Fellow at the Brookings Institution.